Ordinary, boring/dated builder grade bathroom mirrors can be made exciting with a new border of decorative tile. 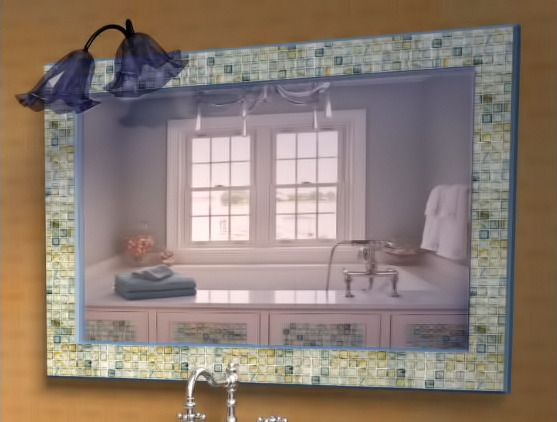 Add a beautiful tile frame to the old mirror in the guest bath or bring the color and pattern of mosaic tile to your master bedroom’s vanity mirror. Clean your bathroom mirror thoroughly with glass cleaner and be certain to wipe all cleaner and water moisture dry prior to installing your decorative tile frame. Determine the amount of tiles you prefer for your framing width. Pre-cut your tile and its mesh backing into correctly sized tile strips. Trim MusselBound Adhesive Tile Mat into a width that matches your tile strips. Apply the exposed adhesive side of MusselBound to the back of your tile strip. At this point, MusselBound can be easily lifted and adjusted to create an ideal alignment with the tile strip. Lay the tile strip on a flat surface and press the tile firmly against the MusselBound Adhesive Tile Mat to activate a strong, lasting bond. Remove the MusselBound release liner to expose the adhesive and place the tile strip against your mirror. MusselBound and the tile can still be lifted and adjusted to achive proper alignment with the mirror’s outer edge. 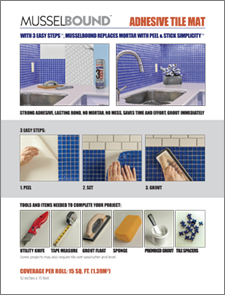 Now, using a flat surface, such as your grout float or a hardback book, press firmly on all tiled areas to activate MusselBound’s adhesive tile mat and adhere your tile to the mirror. After applying all your tile strips to the mirror, use masking tape to create a protective barrier between the inside of the tile strips and your mirror surface. The mirror can also be covered with newspaper to fully protect it. Its time to grout the spaces between your new tile. You may choose pre-mixed grout or mix powdered grout with water to create your own. 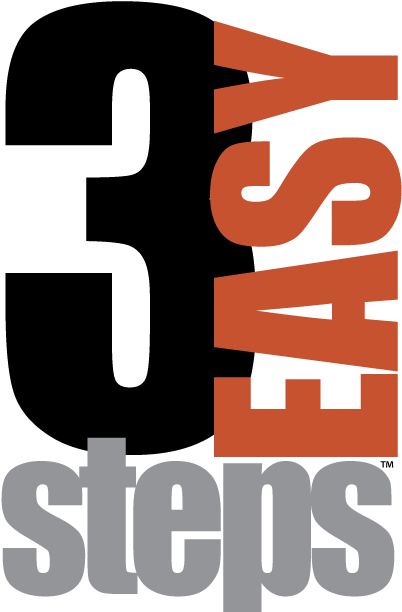 Easy-to-follow grout application instructions can be found on the MusselBound Adhesive Tile Mat label, at musselbound.com, and on the MusselBound Adhesive Tile Mat YouTube Channel. We look forward to seeing photos of your DIY tile framed bathroom mirror. Please send your tiling pictures and a review of MusselBound Adhesive Tile Mat to musselbound.com, Facebook, pinterest.com/MusselBound, Wayfair.com or lowes.com.